Bay Area Coating Consultants has proudly completed thousands of coating and lining projects over the last 32 years, and never experienced a coating or lining failure on any of our projects. An industry record that few can claim! BACC has long term employess, not just "employees" for a project, so you know that our inspectors follow our strict in-house quality guidelines. 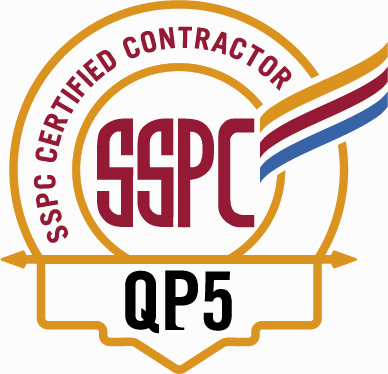 Our quality assurance and industry record is backed by experience, knowledge, and the importance of our inspectors being NACE Certified. To insure their success, BACC provides them with the most advanced tools in inspection equipment available, and is an authorized dealer of Elcometer Inspection Equipment. These tools give the BACC inspectors the ability to monitor contractors’ daily surface preparation and application procedures. In addition, the inspectors are fully trained in all aspects and stages of 100% solids application equipment and technology. Again, the result... No failures. Coatings and linings provide structures not only with an outward visual appearance and protection but also with protection from corrosion, ultraviolet light, water penetration, heat, abrasion, and chemicals. Our inspectors at Bay Area Coating Consultants Inc. can provide a coating and lining inspection report that gives you a comprehensible look at the hourly preparation and quality of application coatings linings being applied. With new and improved materials being developed and introduced at an accelerated pace due to more stringed volatile organic chemicals and compounds , the need to efficiently and economically apply protective coatings is equally intensive and critical. Selection of the proper coating or lining materials has become increasingly essential as the rehabilitation of new and old structures surfaces becomes more costly. Ed Darrimon President at BACC has developed an unprecedented method of coating selection and surface testing and preparation. The information provided by a coating inspection report can contribute to the reduction of these costs and failures. Bay Area Coating Consultants Inc. has merged our skills in coating and lining selection and analysis with 32 years of practical field tested experience in product validation to produce a very extensive coating inspection report second to none. Ed Darrimon's years of experience in personally conducting hundreds of coating assessments ranging from Water and wastewater treatment plants to tanks, vessels, oil refineries, power industries, and bridges, adds extra confidence for BACCs’ clients. The Bay Area Coating Consultants approach is to determine what will give the longest life for the clients’ project, as researched by BACC extensive experience and value engineering. BACC has been providing pre-specification review and coating and lining components for our clients for over 32 years. BACC's in-depth knowledge of coating and lining and the numerous structures we have worked on gives our partners systems that will perform as designed. Our reputation is second to none when it comes to the coating industry. Bay Area Coating Consultants’ excellent track record stems from implementing their expertise in the coating and lining fields for numerous companies over the years. BACC provides a full line of pre-paint analysis through an accredited lab, including CAM17 testing. BACC provides a complete test analysis from ASTM adhesion testing, to surface contamination. Our service team welcomes any questions on coating or lining problems for Concrete, Steel, Rubber Linings, and Fiberglass. And finally, all our project findings are documented in a detailed, full report. Bay Area Coating Consultants provides state of the art underwater inspection services utilizing a NACE Certified inspectors to properly analyze the tanks or vessels’ condition. BACC provides real time video of the divers operations - complete with a written report and DVD of our findings. 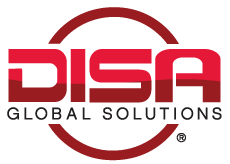 We proudly meet all OSHA, Department of Health Services, and AWWA standards. 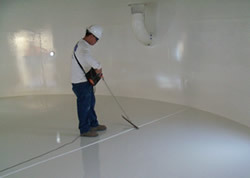 Bay Area Coating Consultants has completed thousands of projects over the years. Please contact us at (888) 384-6839 or info@bayareacoating.com and we would be more than happy to provide you a list of our clients with names and phone numbers. Since 1987, Bay Area Coating Consultants, Inc. has been providing its clients the most advanced inspection and technical services in the industry. © 2019 BACC - All Rights Reserved.